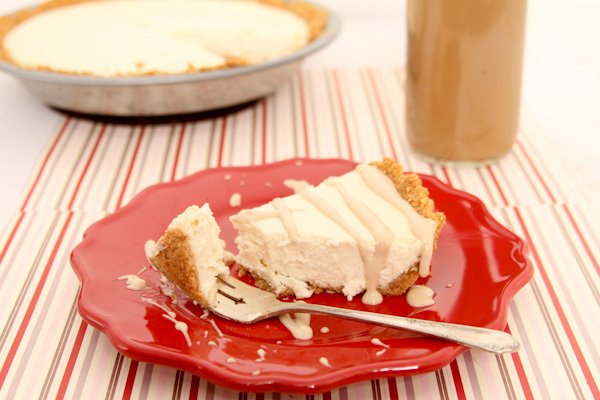 Cheesecake is one of my favorite treats and when I was given the challenge of using International Delight Light Iced Coffee in a recipe I knew I would make cheesecake. I made a few other desserts (Here’s an Iced Coffee pudding recipe ), but this is, hands down, my favorite dessert. 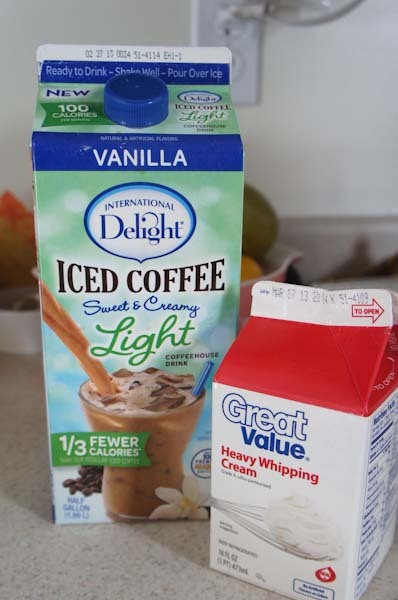 International Delight Light Iced Coffee is available at Walmart in the Dairy section. My store carries the Vanilla and Mocha flavor. The Vanilla is so smooth, creamy, and delicious and the light version only has 100 calories per serving….way less than most drinks from coffee shops. I love that drinking International Delight Light Iced Coffee saves me money AND calories. This is the first cheesecake I’ve made that actually turned out perfect. The top didn’t crack and it didn’t weep. Sometimes cheesecake gets moisture build up on the top as it cools. Neither one happened on this cake…I’m attributing it to the addition of the Light Iced Coffee. The Light Iced Coffee topping makes it even better. Oh, and it tastes so incredibly good. This will now be my go-to dessert to take to family and friends. Here’s the roundup of ingredients needed. Smash up the graham crackers, add a little sugar and butter and then press into the pan. I used a pie pan because I don’t have the traditional springform pan. You can use either one. Start mixing up your ingredients. I used a hand blender, but really, anything that will really mix the items together will work: fork, spoon, stand mixer, etc. 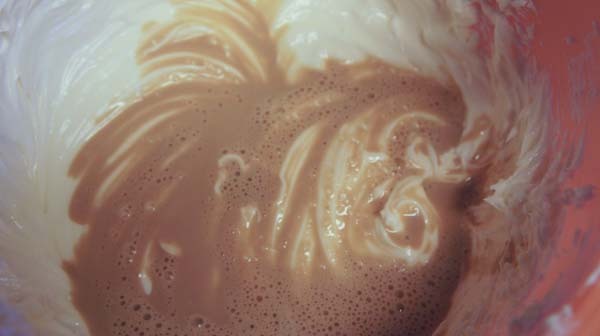 Adding the International Delight Light Iced Coffee to the cheesecake mixture. After you have pulled the cheesecake out of the oven, let it cool down and then place in your fridge for at least 6 hours. 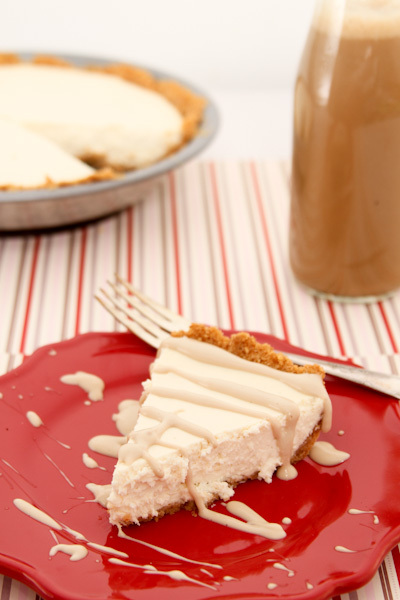 Before serving whip up this tasty sauce to serve on the cheesecake. 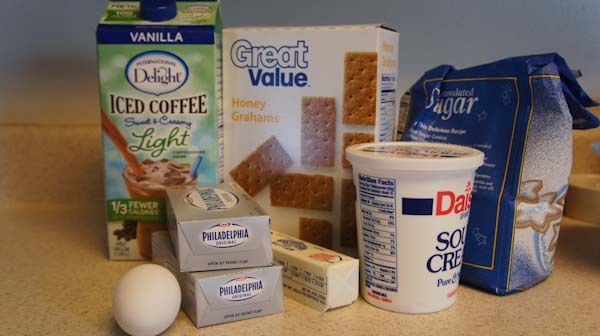 You’ll need International Delight Light Iced Coffee, heavy whipping cream and cornstarch. Cut a slice of pie, drizzle some sauce over top and enjoy!! In a small bowl combine graham crackers, sugar, and butter. Mix until well blended. 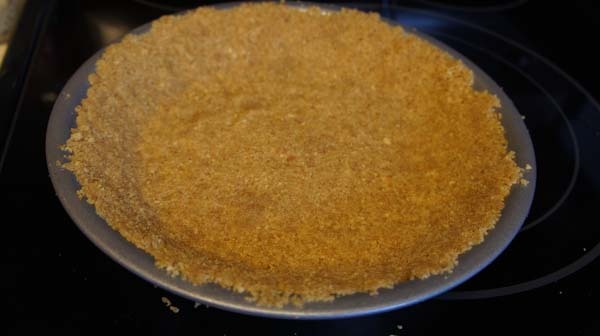 Press graham cracker mixture into pie pan or springform pan. Bake at 325 degrees for 5 minutes. Let cool completely. 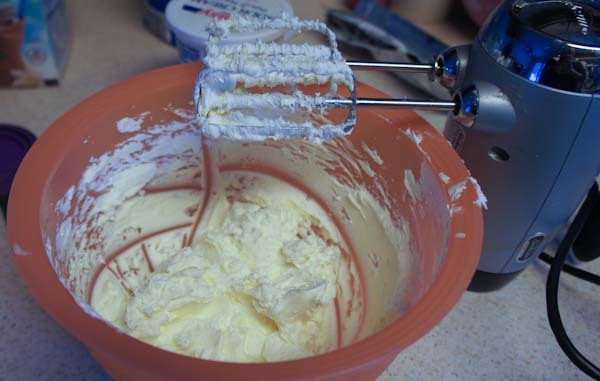 In a medium bowl cream together cream cheese and sugar, add egg and blend. In a small bowl mix together cornstarch and International Delight Vanilla Light Iced Coffee until smooth. Add to cream cheese mixture and mix well. Fold in sour cream. 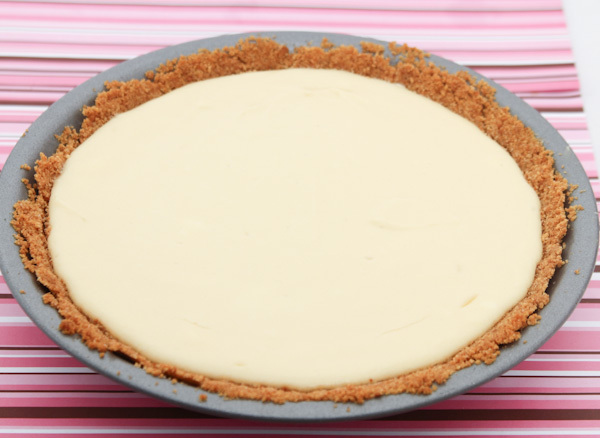 Pour cream cheese mixture into cooled graham cracker crust and bake for 45-50 minutes. Do NOT overbake. The center should still jiggle a bit when you pull it out of the oven. Let it cool to room temp and then chill for a minimum of 6 hours in the refrigerator. In a small bowl mix together the heavy whipping cream and cornstarch. In a small saucepan bring the International Delight Vanilla Light Iced Coffee to a boil -watch carefully and be sure not to burn the coffee. Add whipping cream and reduce heat to medium. Whisk until sauce thickens. 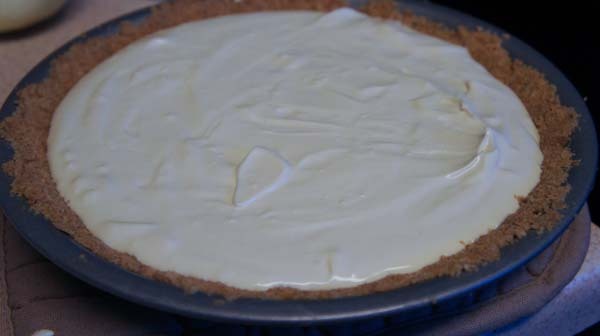 Remove from heat, let cool and serve over cheesecake. This looks so delicious! I want to make this right now! Yum! I never would have thought to use iced coffee in a cheesecake. What a brilliant idea!It looks delicious and I can’t wait to try it. I NEVER would have come up with this!! It looks amazing!!! ohhh I love cheesecake I just pinned this . Would have never thought of using iced coffee but looks delicious. I don’t like cheesecake, but even this looks yummy! !